As a Real Estate Agent, do you want more Listings? Do you want more Buyer Leads? Property Specific Marketing is the way to attract the most qualified Buyers and Sellers possible. Using our listings and Address Specific Marketing is the best bait we as Agents have. Why? It is all about desire and trust. Unlike the recent past Property Specific showcases are NOT just for luxury homes. They are for any listing you want to wow the public and attract more buyer and seller leads. In a Google world, people expect all the information NOW and don't want to sift through non pointed information on our properties. If we truly care...or have empathy with our buyers and sellers, creating marketing that excites them becomes easy! Basically it isn't about us it is about the homes! This makes trust building with buyers and sellers much easier and bridges the gap more quickly as you are making it ALL ABOUT THEM AND THEIR HOME. 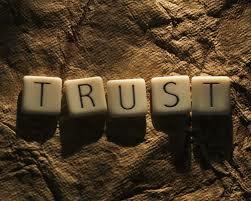 Building trust fast means we become their advisors earlier ensuring more future deals. Let's face we all want to work with someone we trust. Since we want more Buyer and Seller leads, and we need to build trust to work with those leads as cusotmers. What is the best way to accomplish those objectives? If you were a buyer and you drove by a property with a typical Agent sign and or generic marketing information would you be eager to want more information? Hardly. Unless you reeeeeally wanted that neighborhood or there was amazing street appeal and you were ready to buy, you'd blow it off. The days of making it difficult on our consumers just to get a lead don't work. What would you do...either move on, or you'd just Google it and find what you want and likely be captured as a lead by Zillow or another competitor Realtor instead of the Listing Agent. Now let's imagine you drive buy a listing in a neighborhood you are considering and that Agent is an amazing marketer. 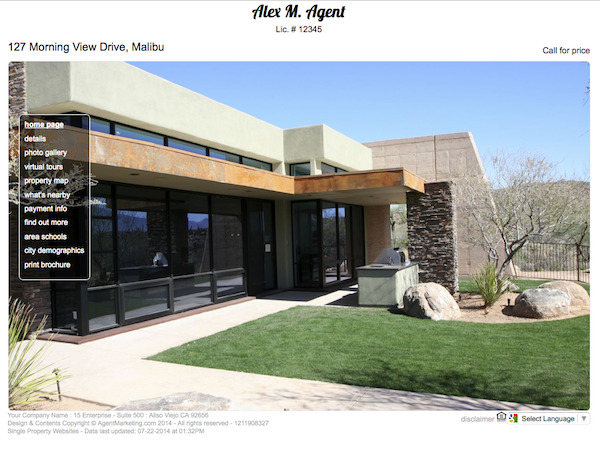 They've created an Address Specific Property Website with Address Specific Text Code, QR code and more and they have a full color sign rider to match. Hmmmm you'd think, let me see what this property is going for? You would immediatly have more trust in that home and for that Agent as you'd figure any home with its own specific marketing must be worth it for them to take the time to promote it that way. You'd be excited that you didn't have to go through a bad Agent Website looking through everything just to not find anything about that property. You'd love knowing the price right away, seeing all the pictures on your phone and feel much more comfortable about a listing that was illustrious enough to have its own unique domain. You may even share the Domain Specific Property Website with your friends and family, on facebook...etc. If you were a neighbor thinking about listing your home in the future, and you drove by a typical Agent listing, you'd be intrigued but not prompted to action. You'd probably just wait until you got home to look up what the home was going for on Redfin, Realtor.com, Trulia or Zillow and become a lead for other Agents. The actual Listing Agent wouldn't stand out to you and you'd have little connection to want to call them to sell your house. Now let's imagine you drive buy a neighbors house and see visit: www.129View.com or text "129View" to 79564. You'd think hmmm that is cool, I definately need the Agent on my home to do this. Let me check it out. Then right then and there you'd visit the property on your phone and see all the information. You'd be so impressed, you'd be sure to show your spouse when you got home. More importantly you'd have a resume of sorts about the Listing Agent as let's face it, it isn't about the Agent per se, but what that Agent will do to market or sell the home. Oh yeah, you'd also become a lead for the Listing Agent to call you and start building rapport for when you are ready to sell. Creating the an Address Specific Lead Machine has never been easier. Your Marketing is your resume. It is how you are being judged. Be empathetic and give the Buyers and Sellers what they want and you will get a ton of qualified and interested Leads. Need leads, check out this great blog from Agent Marketing!